﻿Today’s miners operate globally in harsh environments and face increasingly difficult challenges. Bridon-Bekaert’s full line of shovel and dragline ropes provide safe and proven technology that will outperform any rope in service life or cost per ton in severe applications. You will find the WRI and Bridon brand products operating anywhere that there is extensive surface mining activity. Miners operating electric mining shovels in the Copper mines of Chile, the Canadian oil sands, and the Arizona Copper mines trust the WRI and Bridon Brand hoist ropes to safely deliver unequalled performance. 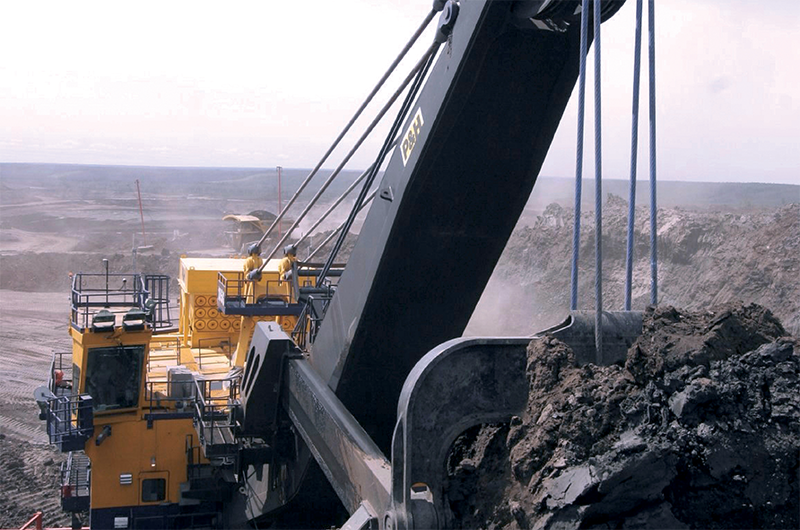 Every day draglines operators in the Powder River Basin in the United States or the Australian coal mines rely on the WRI and Bridon brand Hoist and Drag ropes for safe, dependable service life.